Boucleme are on a mission to redefine what it means to have curls. They understand the specific needs and difficulties that attach to curlier hair types: how they’re both drier and more delicate, how they need extra nourishment, and how each individual fibre requires strengthening from the inside out. 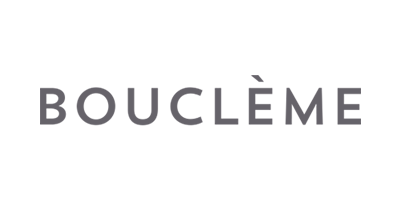 That’s why each Boucleme product is full of high-performance actives, perfect for restoring vitality and moisture to tired hair. With their simple 3-step system, the brand gives you everything you need to cleanse, condition and define. Say hello to beautiful, healthy curls that look just as nature intended. Besides an intense passion for curly hair, the brand is also a passionate advocate for environmental and ethical concerns. At all times, they adhere to strict rules on sustainability and fairness. Fairtrade ingredients are utilised wherever possible, all packaging is recyclable and every ingredient is biodegradable. But it doesn’t end there. Boucleme’s commitment to naturally-derived remedies means that you’ll find no chemical nasties in any of their products. And, of course, they never, ever test on animals. Tested on real curls, for real curls, these blends are formulated to revolutionise your haircare routine.